Kelly Neaton GirmscheidKelly is the Naturopathic & European Medicine Centre's media liason. A strong natural health advocate for the last 19 years, in addition to gardening and experimenting with healthy recipes and natural products she is a freelance hair stylist and makeup artist. 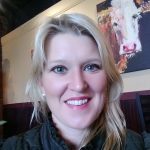 Along with assisting her husband's real estate business she is currently focused on the challenges and joys of homeschooling their young son Silas. Recently I received a phone call from our local utility provider, informing me they were going to be changing out some equipment at our home. This was a pre-recorded message, so I thought I should investigate further. I rang them back to ask what this was about. The answer they gave me was that they were going to be putting in a “smarter meter”. Have you heard about the “smart meter” yet? Thank the Lord I had already heard about these, so I knew a bit already of what it was about. Since most utility meters are located outside the home, most people are not even aware when their old, reliable “dumb” meter has been replaced with one of the newer so-called “smart” models. 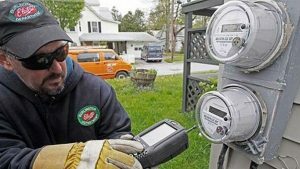 So what’s the deal with “smart” meters? Smart meters are the digital, electronic high-tech replacements for the older clock-like analog meters that for generations have enabled your friendly, local utility company (electric, gas, and water) to measure your usage in order to send you your monthly or quarterly bill. The older variety of analog metering devices have at least one very significant disadvantage to the utility companies – they require legions of human meter readers to go onto customer’s properties (and sometimes into the building) in order to manually read the meter and record the numbers. In contrast, the earliest forms of digital meters simply enabled meter readers to capture usage information on hand-held receivers while standing outside the property, and sometimes merely by walking or driving by. Newer digital meters can take this even further, transmitting usage data to central recording stations using wifi, cell towers, Internet connections, and even power lines themselves – often cutting out the need for a human meter reader entirely and performing complex tracking tasks such as usage during peak vs off-peak times, and potentially even throttling usage to specific customers or neighborhoods in order to balance grid loads. Most often however, smart meters simply rely on radio frequency transmissions in order to transfer their data to either a human-transported handheld receiver, or to a more centralized data collection point. Herein lies the issue, with regards to your health. As mentioned, smart meters emit radio-frequency radiation (RFR). They are essentially small radio transmitters. This is an increasing concern to many people, because RFR is a biologically-active exposure to a form of electromagnetic radiation that is absorbed into our bodies. Many smart meter systems constantly generate RFR in order to wirelessly communicate with other smart meters, as well as with the utility provider. Taken together, each of these wireless communication networks increases the overall density of man-made pulsed RFR radiation – outdoors and indoors – present throughout a neighborhood. Well, of course we already have cell phones (usually more than one in a family household), and long before cell phones became ubiquitous, homes with land-based phone lines often had wireless phone handsets. So what’s the big deal with just one more wireless device that puts out at most a few milliwatts of radiation? Have you ever read the safety brochure that comes with your cell phone? Most of us haven’t – but we should. Turns out there is a great deal of “dirty electricity” radiating out of those bad boys! Every little device in your home that is wirelessly sending information to another device either inside or outside, is like another little cell phone transmitting RFR. Together, all those milliwatts of radiation in your home, and the radiation in your neighborhood, adds up. For someone like myself who is already highly sensitive I can only begin to imagine what this might be doing to my own health, let alone my child’s. The American Academy of Pediatrics considers children far more vulnerable to radio frequency radiation – whatever the source. Research that has looked specifically at smart meters has found that the radiation emitted is absorbed at a faster rate and is more concentrated into children’s bodies. A paper recently published in 2018 by the National Institutes of Health ( https://www.ncbi.nlm.nih.gov/pubmed/29143352 ) concluded that the highest observed whole body specific energy absorption rate value was in the child model when radiation from a typical smart meter was simulated. Reported symptoms have included sleep disturbances, rashes, hyperactvity, changes in children’s behavior, high blood pressure, endocrine problems, thyroid problems, facial flushing, nausea, flu-like symptoms, body pain, leg cramps, cardiac symptoms, heart palpitations, heart arrhythmias, dizziness, fatigue, physical weakness, difficulty concentrating, memory loss, learning problems, ringing in the ears, headaches, and more. Most significantly, there has been an increase in the number and severity of symptoms reported immediately or shortly after smart meters were installed and activated on the properties of the affected people. Regulatory agencies and utility companies point out that the RFR emitted by wireless smart meters and their networks is fully compliant with current limits set by the Federal Communications Commission (FCC). It can be pointed out however that exposure limits set 20 years ago (based on information and research from 30 years ago) is inadequately protective of human health, and may be hundreds or thousands of times too high to protect humans and wildlife from the biological effects of RFR – particularly when the cumulative exposure levels of an increasing number of wireless devices is taken into account. I homeschool our son and so we are home a majority of the time. The rate at which we are bombarded by RFR is not insignificant. As more and more so-called “smart” technology continues to be pushed on us – now in our utility meters – I am increasingly concerned as to its effects – both short and long term. Is progress worth the risk? Considering the risk, is this even progress? My own suggestion is for each of you reading this to contact your local utilities to find out if you have one or more smart meters in your home already, or if they are coming soon to your neighborhood. Already I have learned a great deal from advocacy websites such as www.ehtrust.org. Take a look as they have local links to advocacy groups in your area to help you in getting rid of the smart meters in your home and neighborhood, or in stopping them from being implemented in the first place. If you visit the ehtrust.org website there are a few excellent videos I suggest you watch for more information on this topic. Scroll to the bottom and listen to the testimony of electrical engineer Bill Bathgate to the Michigan house energy committee. His focus is on the likely increases to electrical bills that will come from the implementation of smart meters, which is yet another aspect to be considered. At this moment I am still waiting on a return phone call from someone higher up in the electrical company, to speak with about my concerns. Supposedly I will be able to opt out of the smart meter program (at least for now) and keep our analog meter. I will also be taking this to our local town officials to make them aware of the issue, and my very real concerns. Even if you don’t care about your own health or don’t consider one or two more radio transmitters in your home to be a threat to it, you should care about the bottom line of what the costs may be to your wallet and savings – both in utility rates and healthcare costs. Not every increase in technology in our lives is good. Often it is the the unseen and unconsidered things that come back in the end to haunt us, in ways we didn’t think of (or didn’t think enough about) at the time. If you are going to step off a cliff, at least spend a little time researching the effects of doing so. God granted us with the ability and drive to better understand His creation, and He also gave us the intellect needed to produce the very technological innovations that have very often improved our lives and have enabled us to live longer and more comfortably. God also gave us the ability to choose our actions. Often the ABILITY to do a thing does not mean it should be done, or that it is the moral and right thing to do. The technology that can make our lives better, if not wisely applied can also destroy our lives. Think deeply. Pray often. Choose wisely. Sources: Environmental Health Trust – www.ehtrust.org ; National Instututes for Health – www.nih.gov .